Matsu's World: The One Less Traveled | Views and ideas of an I.T. manager. Posted by Matsu in Apple, Business, History, Information Technology, Mac, News, Technology. 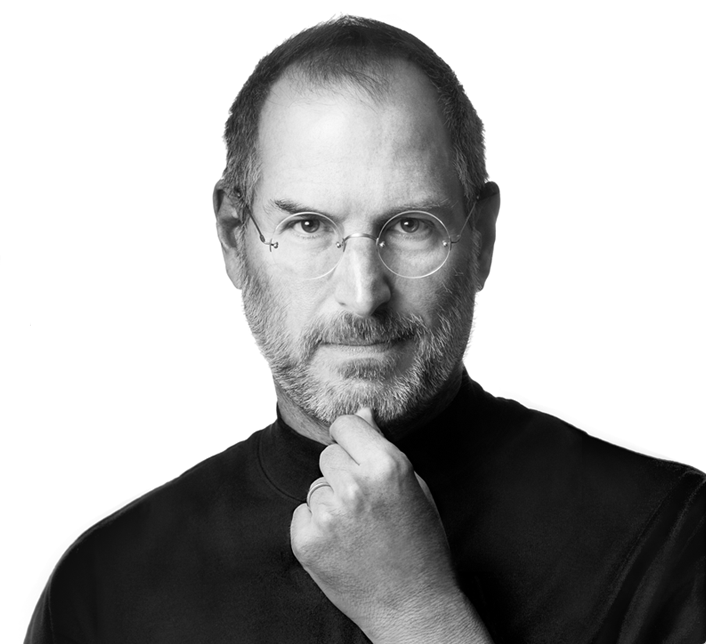 Steve Jobs (1955 – 2011) passed away today. The co-founder and long time CEO of Apple Computer succumbed to illness after a two year battle with cancer. Posted by Matsu in Business, Fun, Humor, Information Technology, Technology. I just read this article and it made me laugh (as well as think about my own data backup and disaster recovery plans), so I had to share it with everyone else. The premise is, if your data center melts down and you don’t have good backups (or they were all in the data center and either a flood or fire or both destroyed everything), what drink goes best with that situation? So, which drink do you think goes best with a data center disaster where there is a complete loss of data? On second thought, maybe it’s best to avoid a data center disaster by having a well planned backup process where there is virtually no risk of ALL data being destroyed (because you used all of the best practices for backups, off site storage, disaster recovery and business continuity). Then you can drink to the fact that you prevented the demise of the organization or company you work for by either having no down time at all (redundant data centers) or minimal down time with no data loss at all. THAT is something really worth drinking to! Cheers! Posted by Matsu in Photography, Random, Travel. 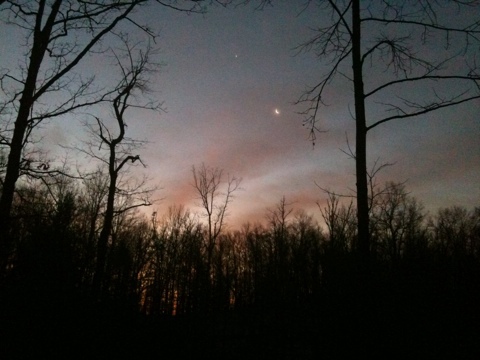 Here is a photo that I took on the morning of Dec. 31, 2010. The moon and stars (or star) were still out. It was just as the sun was beginning to rise. Posted by Matsu in Friends, History, News, News and politics, Other, Random, WordPress. In terms of my situation this evening, New Years Eve of 2010, not much has changed since last year. But, a LOT has happened this year. A LOT has changed, for me and for many others all across the world, but especially in Haiti. I’ll say more about that in a minute. Before I do that, I want to assess how I did on my New Year’s resolution. And, as you might remember, before I could even post that entry to my blog, I was tested. It was a small test, but a test none the less. A total stranger staying at the neighbor’s cabin stopped by to ask for a roll of toilet paper. I had my first opportunity to help someone I didn’t know. And, as you might guess, I passed that first test with flying colors. So, that was the start of my new year — the year 2010. Little did I know what was to transpire less than two weeks later. On that day, as I was driving home from work, I was listening to the radio — the news was on — and I heard the first report that a severe earthquake had hit the island nation of Haiti. It had only happened minutes before, so there was very little information other than it caused significant damage. A grade school friend of mine lives in Haiti, with his wife and two children. I immediately worried about their well being, not knowing if they were affected by the quake or not. When I arrived at home, I began nearly a week-long vigil of watching as much TV news as I could, constantly checking the Internet for even more current information, and searching Facebook for news of my friends. It was almost 24 hours before I heard from my friends. They had survived. Their house was intact. But, The city of Port-au-Prince, where they lived, was annihilated. In those first hours after the quake there was no information as to the scope of the damage since communication lines were all down in Haiti. Eventually, information began to trickle out… the news was devastating… thousands and thousands of people were killed instantly as buildings collapsed. It was unknown how many were still alive, but buried in the rubble. For days and even weeks, rescuers tried to save all they could find in fallen hotels and grocery stores where there were people who were able to survive the quake in air pockets. There were some amazing stories of a few survivors who were recovered, but far too many stories of people who did not make it. All that happened on January 12, 2010. The day a nation of strangers will never forget as it changed their lives, forever. And, possibly, changed the country of Haiti forever. I have done everything I can to help the few strangers from Haiti that I could (through multiple donations of funds) and I did everything I could to help my friend and his family this year. I am glad to say, they are all doing well and are continuing their work in Haiti. For that, I am grateful to God. For me, the year of 2010 will be remembered as a year of testing my resolve to help others, both friends and strangers. It was a year of challenges, not just for me, but for a whole nation of people that I did not know, but who I grieved for and desperately want to help, even now. Their lives, those of the Haitian people, have not improved much since the earthquake nearly a year ago. There is still much that must be done to restore the infrastructure and rebuild the cities. And, the possibility of disease is always near, with cholera being the current danger as it works its way through the country and into the tent cities. Just as I wrote last year, I write again that “this has been an especially difficult year for many people.” Only, I was surprised to find that not only was I able to help strangers and friends this year, but I was in turn helped BY strangers and friends. In fact, because of that help, this has been one of the best years I have had in a long, long time. That help was a direct result of my reaching out and helping others. It’s amazing how that works. And, how unexpected it was. As a person of faith, I must give credit to God, and thank Him for what He has done this year. It was a very difficult year and it was full of times of both great suffering and great joy. What a paradox. Like last year, I once again challenge you, dear reader, to look for opportunities to help someone, whether it be a friend or stranger. Only, I ask you to go a little further this year and remember the people of Haiti. They are still living without the most basic of essentials, like clean water and a roof over their heads when they sleep at night. It will take all of us, working together, to make a difference for that nation of strangers. I accept the challenge and ask that you join me in what may seem to be an impossible quest. But, if you help just one stranger, it will make a difference for us all. It will make this world a better place for everyone. And, that is my wish this year. That we all make this world a better place by doing the right thing and helping others, sharing what we have with strangers. No matter how little you have, you can always help in some way, to alleviate pain and suffering of others. That’s what I resolve to do this year, both here where I live and abroad, in Haiti. Good bye, 2010! Welcome the year 2011! Happy New Year, everyone! Make the most of every day to help others. Posted by Matsu in Christmas, Fun, Music, Religion. getting a quick bite at a mall food court.